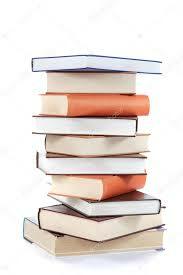 Tsundoku is a Japanese word for those who habitually and routinely acquire books without actually reading them. According to Wikipedia, the term originated in the Meiji era (1868-1912) as Japanese slang and combines elements of tsunde-oku (to pile things up ready for later and leave) and dokusho (reading books). To be clear, Tsundoku is not akin to hoarding and the people who practice it are far from reality TV show contestants. The act of purchasing a book without the intent of reading is no accident. In fact, these bibliophiles are as proud of their carefully curated stacks as they are passionate about finding their next, soon to be un-read, novellas. And, it turns out that stacking books isn’t such a bad idea after all. Multiple and well documented studies have linked student academic success to the size of their home libraries. In a 20-year study of 27 countries, researchers at the University of Nevada said the most important predictor of education achievement comes down to one thing: owning books. It further states that a homes with books in them can increase a child’s education level by 2.4 years. Mariah Evans, University of Nevada, Reno associate professor of sociology and resource economics, stated that, “Even a little bit goes a long way,” in terms of the number of books in a home. Having as few as 20 books in the home still has a significant impact on propelling a child to a higher level of education, and the more books you add, the greater the benefit. In other words, Evans said, “You get a lot of bang for your book." Whether it's nature (just being in the presence of the books) or nurture (having parents model the importance and value of reading) is irrelevant. What matters is that when young people are in the presence of or in contact with knowledge, they become smarter. Taking that same concept to a more musical place, if we are in the presence of or in contact with music, would we become more musical? What would the effect be if our music libraries were out and accessible to students. Imagine our rehearsal halls being more like libraries than acoustical cathedrals. What would happen if we had children rehearse along side Grainger, Mahler, and Persichetti. I wonder if we gave copies of scores to students, would see the same leap in musical achievement as having access to books does for academic achievement. In short, I wonder if we give too much attention to what our students play, and not enough to how much they play. When I was a teacher I would dedicate two full weeks of every school year to sight reading through the classics. I would pick out two to three new pieces each day and work through them. These works were not appropriate for contest as they might feature a weakness, or a soloist we lacked, but were worth playing nonetheless. Although I might not have the woodwinds to take Candide to contest, my students should still be exposed to this monumental work and its prolific composer. The same could be said for Mahler, Mozart and Hindemith and so many more. I will tell you that rehearsing master works without the pressure of a performance was one of the highlights of our year. In my mind, I was just trying to cover for my shortcomings as a teacher. It just didn't seem fair to the students that just because I couldn't be successful at contest with a piece, than they couldn't experience it. I didn't know that I was "Tsundoku-ing," but there I was, surrounding the students every day with stacks of music that I knew would never be performed. Perhaps (and I mean perhaps) as music educators we spend so much time rehearsing and perfecting our "contest literature," and not enough time being imperfect with non-contest literature. As a profession we leave so little time for kids to just be around and explore music. Think about it, from the moment they start on an instrument to the moment they stop playing, we dictate virtually every note a student plays and every rhythm they read. Perhaps instead of focusing on our ensembles volume, they and we might be better off focusing on their volume of materials. That would provide the biggest bang for the BrUCK(ner).